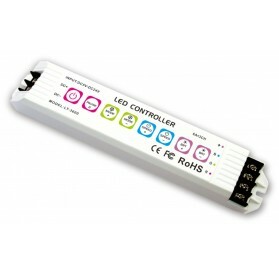 The LED Manager 3x6A is suitable for controlling RGB LED strip. The driver is equiped with multiple pre fixed color loops. It is possible to save the intensity and speed in a preset. 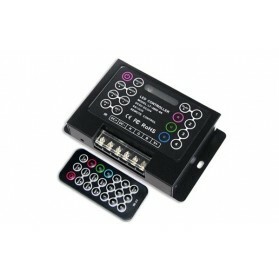 The StandAlone LED controller is a universal RGB-controller with multiple standard programs, like color changes. The speed and intensity can be adjusted on the controller itself. 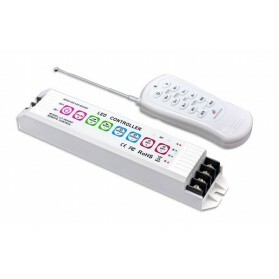 The LED potentiometer dimmer is used for SingleColor FlexStrip. 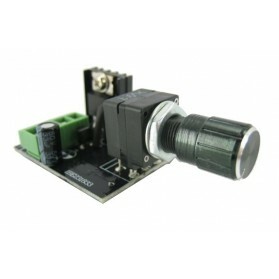 This dimmer is particularly suitable for applications where once decided on the intensity, is not often changed anymore. For instance at exhibitions or in musea.